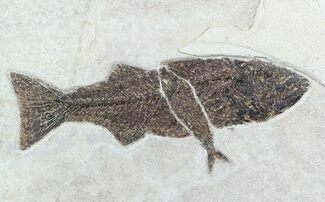 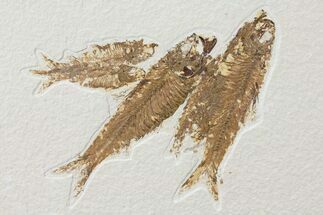 These are approximately twenty prepared Knightia eocaena fossil fish. 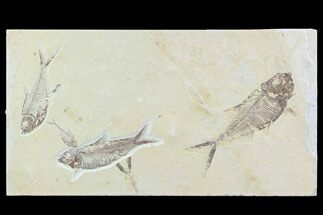 They come from the Eocene aged Green River Formation of Wyoming. 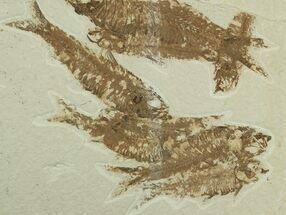 50 million years ago, in the Eocene these fish thrived in Fossil Lake fed by Uinta and Rocky Mtn. 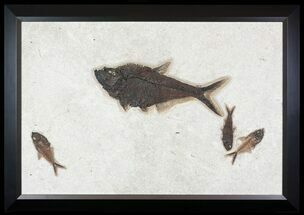 highlands. 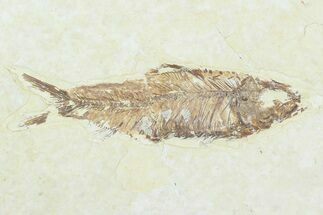 The anoxic conditions at the bottom of Fossil Lake slowed bacterial decomposition, prevented scavengers from disturbing corpses, and most interestingly, suffocated creatures that ventured into the oxygen-starved aquatic layer. 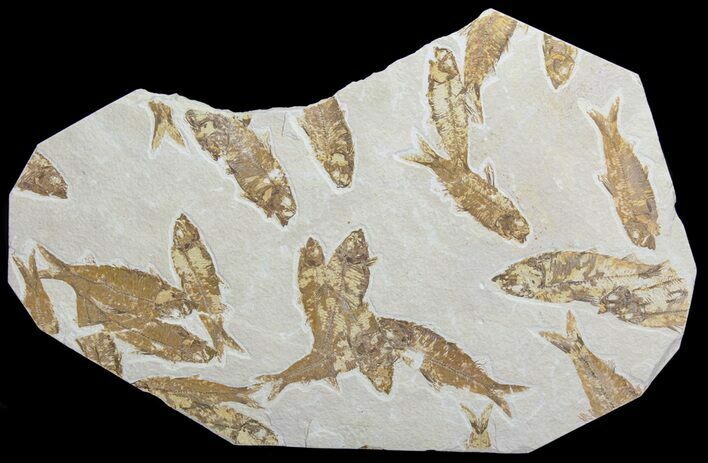 The result is a miraculous exhibition of Eocene biota in a subtropical, aquatic community within sycamore forests teeming with creatures such as freshwater stingrays, dog-sized horses, menacing alligators, early flying bats, and one of the first primates.